Smack! A rock flies up and strikes the down tube of the Supermatic I’m riding at a Tomac product launch. I immediately think: thank god it didn’t hit my shin. It doesn’t occur to me to stop and check for damage to the expensive carbon undercarriage, there’s no time. I’m too busy trying to keep the legendary Johnny T in sight. No mean feat on Arizona’s Mormon Trail, nominally a DH test track. At the bottom I’m elated. And it’s not that first-time-down fresh tracks buzz either. I’ve ridden this trail before — six or seven years ago on a bike with a lot more travel — but this time I couldn’t contain my excitement about how something so steep and rocky could be on a 120mm travel bike. The very same carbon ‘XC’ bike that got me to the top of the mountain with relative ease. No shuttles needed this time round. When my adrenalin levels began to wane, I got to thinking about how far mountain bikes have come in such a short space of time, and how it’s not the headline-grabbing ‘revolutionary’ changes that make the difference, it’s the small evolutionary steps added together that offer real gains. Bolt-through forks with tapered steerers; stem lengths decreasing as handlebars get wider; spokes that don’t work loose; stiff, strong two-piece cranks that don’t start telling the time after one misjudged landing… The list is long. We also have better use of materials. Forged rather than machined aluminium parts, less bonding and more monocoque carbon frame construction. Not to mention subtle changes in geometry and damping that make massive differences to the way bikes actually ride. But these less obvious improvements are the hardest to sell, so manufacturers often make bold changes with inflated claims to encourage you to part with your hard earned: 29in wheels and ‘new’ suspension linkages are top of the list. Thankfully this isn’t the norm — take Fox for instance. Its 32 fork platform looks very similar to the original design, even though Fox has made incremental improvements year on year. But there’s only so far you can go with a design before wholesale change is necessary. With travel maxed out a 150mm, and improvements in damping allowing you to go faster with more control, the original XC chassis now seems more similar to a freeride fork. So the next obvious evolutionary step for Fox is to replace its 32 range with the bigger 34mm stanchions recently introduced on its 29er fork line. 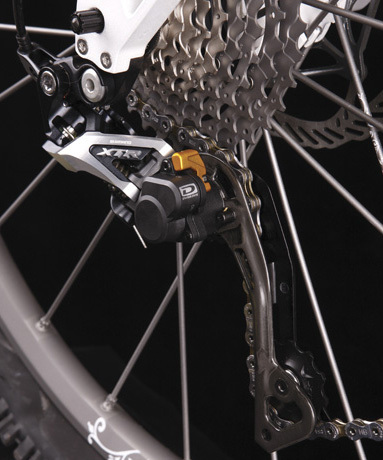 Would a new 150mm Fox trail fork with 34mm stanchions make a massive difference to your ride? Hardly. But if Fox makes the change, will we all want the new fork? Definitely. And five years down the line, this, along with a raft of other upgrades, will eventually culminate in an appreciable difference in performance. And not just at the highest level; new developments allow older technology to trickle down to lower price points and everyone’s ride improves. If component manufacturers and bike companies want to grow their business, they have no choice but to forge ahead. Specialized’s ‘innovate or die’ ethos pretty much sums it up. Nowhere is this one-upmanship more evident than in the arms race between SRAM and Shimano, as they literally gear up for battle. Ironically, by introducing more cogs on the rear, many riders are now actually choosing to have fewer gears and run a chain device. After all, it doesn’t matter what you’re running; if you go to sprint out of a corner and the chain is dangling around the BB, the only place you’re going is over the bars. Product evolution also has a darker side: namely, obsolescence. 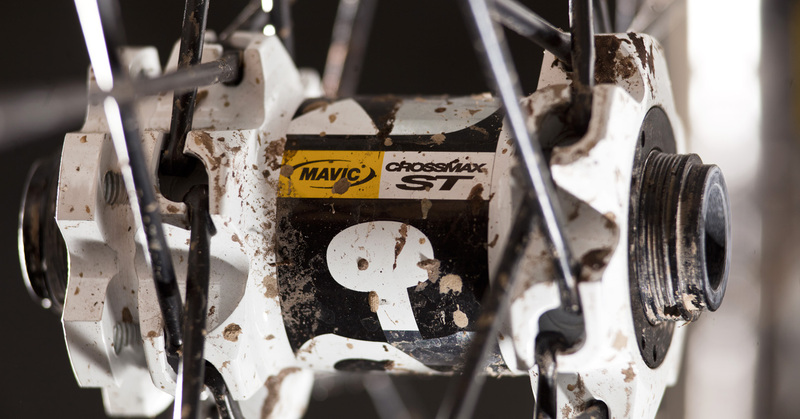 In recent years, the freehub body standard has had two stays of execution as nine, then 10 cogs were squeezed into a space designed for eight. But if 11-speed is, as many predict, just around the corner, will everything have to change? The current 142 x 12mm rear hub/frame standard definitely has some untapped space available to expand the cog count, so perhaps 2013 could see freehub standards changing for the first time in 22 years. These are the unavoidable growing pains of evolution, but providing they happen on a timeline similar to the lowly freehub body, most of us are prepared to accept them. And if they manage to raise adrenalin levels to new heights as well, then I’m all for them.